Retail Link is improving greatly in the past few months, and the new Supplier Self-Service Application is in line with these recent improvements. On October 23, 2018, in order to provide a better customer experience, the Retail Link and EDI support teams announced a portal that Walmart suppliers can use to submit a ticket, view self-help documents, and access frequently used links. 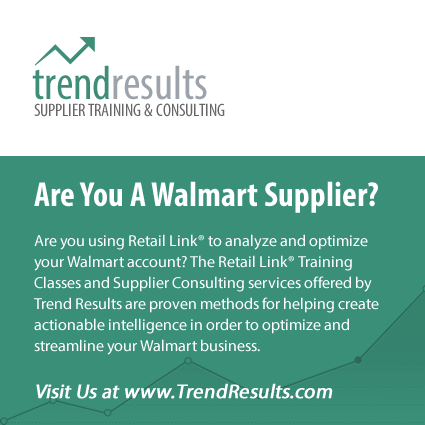 To explore the new application, go to: https://retaillink.wal-mart.com >Apps> Supplier Self-Service to use this new application.